Are you ADA compliant for your owned/operated ATM? We offer complete software and hardware upgrades for your ATM to meet federal guidelines. Schedule your ADA ATM Compliance Upgrade appointment today. We can service virtually any equipment brand. Please contact us today to discuss your needs. 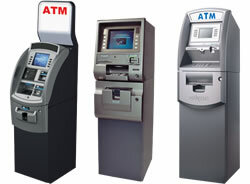 Effective on March 15, 2012, ATM owners and operators are required to be compliant with the ADA requirements.